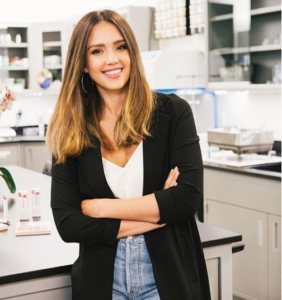 This month we want to give kudos to one of our favorite entrepreneurs and actresses out there, Jessica Alba! Not only is she a great mom but she runs the honest company. The honest company is a wellness brand that wants to empower people to live happy, healthy lives. Jessica founded the company after wanting and not being able to find the products she wanted for her own young family. Jessica and her husband, Cash Warren, are the parents of daughters Honor, Haven, 7, and son Hayes. 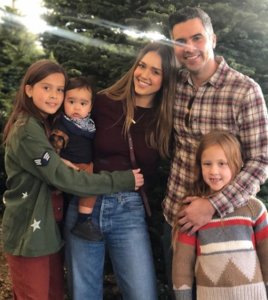 She has said that raising three kids has taught her “the art of multitasking, but also really being in the moment and being present.” That is something we can really relate to as we all are juggling our little ones while still trying to live in the moment and enjoy life with our family. We love that Jessica Alba had such a big dream. When she was a young mom she discovered that the detergent she was using that was marketing towards babies was full of chemicals and she wanted to create a product that was safer to use for her kids. That is one of the reasons why she started The Honest Company. She wanted to solve a problem her family had, just like Kudo Banz! In 2012 in its first year selling products it hit $10 million in revenue.. The company is focused on growth over profits, having a current valuation of 1 billion dollars. That is one smart mama and business women. Jessica has said this about motherhood, “ Motherhood: it’s a doozy, isn’t it? Your world gets turned completely upside down. Everything you thought you knew about what was important is no longer. And all the things you once took for granted — like sleep, and sitting down to eat an actual meal — become the greatest luxuries. Little people change you. To love and need someone that much and have them love and need you just as much” We can’t agree more with her. Motherhood has totally changed us and is such a great experience. 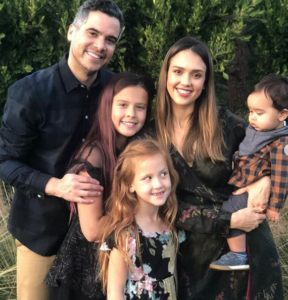 We love what a awesome mom and businesswoman Jessica Alba is. Make sure to tune in next month when we give out more kudos to awesome parents!